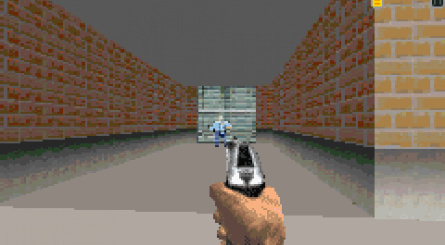 As the video game industry lurches from one generation to the next, the multitude of companies involved with producing software for the endless conveyor belt of platforms never remains static; just as studios are created to cater for the demands of new hardware, established firms are forced to close due to shifting technological boundaries and the inevitable drop in interest for older platforms. Sometimes, these companies collapse because the quality of their output is lacking, but in the case of Croydon-based handheld specialist Crawfish Interactive that certainly wasn't the case. Crawfish was founded by Australian Cameron Sheppard, who began his career down under at the end of the '80s. "I started out in the games industry at Beam Software — formerly Melbourne House — in 1989," he recalls. "In 1994 I was given the opportunity to travel to London to work for Probe Software as a freelance programmer, converting Mortal Kombat II to the monochrome Game Boy. I had to get my first passport to travel to London, and at age 25 it was my first time abroad. On top of being in a new country for the first time, I wasn't a tourist – Mortal Kombat II had a tight deadline of just three months so I spent most of my time in Probe's offices on Tamworth Road, Croydon. Probe's founder Fergus McGovern actually added a clause in my contract that went along the lines of "We understand that you'd like to do some sightseeing in London but you can't until it's finished." I decided to stay on programming games in the UK, including the Sega 32X version of Mortal Kombat II and a few further projects. In 1995, the publisher Acclaim Entertainment bought Probe, and in March 1997 I decided to incorporate Crawfish Interactive to program games directly for Acclaim." Croydon was where Sheppard would locate his fledgling studio. Growth was rapid. "I didn't plan on expanding Crawfish at all, "Sheppard explains. "That happened when I was offered more than one title at a time, which allowed me to hire some freelance and it went onwards and upwards from there." Sheppard relied on freelance programmers like ex-Probe staffer David Leitch to turn around titles quickly and lend his business some flexibility. "We had worked on some of the same Probe projects together before Crawfish got started, "Leitch explains. "In terms of the projects that I did, I was quite lightly managed. I think I got away with that because I was kind of a known quantity and trusted to get my head down and deliver something that was good and on time. The Crawfish guys would have an initial design for the game, they'd sort out the artwork and audio and handle pretty much all of the day-to-day publisher relations stuff. So I got on and made the game with Crawfish giving me whatever support I needed. And for me, that was close to being an ideal situation." "The nice thing about that generation of consoles is that if you did something cool or clever in terms of programming or game play, then it really would tend to stand out"
When Crawfish was born, the portable market was ruled by Nintendo and its Game Boy range of consoles. The original black and white console was still a strong seller, but Nintendo was about to move to an updated colour variant. "The black and white Game Boy was the first console I worked on so I didn't have anything to compare it with, and I remember really enjoying developing for it," Sheppard reveals. "The limitations didn't seem major for me at the time and the programmers at Crawfish enjoyed the challenge, especially porting the higher-platform games to the handheld systems." Leitch has equally positive memories of Nintendo's esteemed monochrome portable. "I liked the Game Boy," he says. "The nice thing about that generation of consoles is that if you did something cool or clever in terms of programming or game play, then it really would tend to stand out – it wouldn't be buried under a mountain of polygons. But similarly, if you did something that just plain sucked, there wasn't a lot you could do to hide that, either." One only has to take a brief glance at the software library of the Game Boy and Game Boy Color to realise that titles based on licensed media properties were massive business, and it was into this realm which Crawfish thrust itself. "Licensed games seemed to be about the only ones being offered during Crawfish's time, so they formed a large portion of our income and therefore continued existence and success," Sheppard reveals. 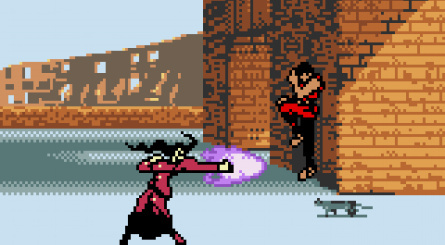 Conversions of established home console titles also featured heavily. "Since the games had to be modified and cut-down we had to be creative, and most of the time we could ride the larger platforms' advertising and exposure, which was a positive experience," Sheppard adds. Leitch agrees. "I think we were cut quite a lot of slack," he says. "For example, Driver, as most people will know, was a big PlayStation game; a 3D graphics and realistic physics extravaganza. And we're trying to recreate something of that on a little 2D system with some hardware scrolling and a handful of sprites. 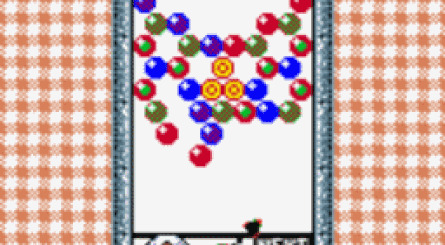 Nobody seriously expected us to attempt a straight conversion, so we concentrated on doing something that was true to the spirit of the licence that also made the best use of the Game Boy Color hardware. The only issue we had on that project was that Reflections, who developed the original, maybe got a little bit too enthusiastic about it. They saw some of the production milestones, really liked them and wanted us to try and leverage our system a little bit more. It was very flattering but we were pushed for time and everybody moved on. Ironically, if it had been the turkey everyone had expected, we'd probably have heard a lot less from them." Thanks to projects like Driver, Crawfish managed to carve out a sterling reputation within the UK development industry, gaining the respect of gamers and the press alike. Sheppard is keen to stress that the company's fame wasn't purely to do with the quality of its output. "I think it's important to mention that Crawfish's continued presence in the media was largely due to our PR agent, Alison Beasley at Lincoln Beasley PR," he states. "Without Alison's valuable help we would not have been as well-known as we were." Clearly Beasley's work — no doubt made easier by the relatively high standard of Crawfish's games — had the desired effect; the firm was getting noticed by some very influential people. "Meeting Nintendo in Japan in 2001 was when our success really hit home," Sheppard says. "I travelled to Japan with some other game developers as part of the Digital Content Trade Mission to Japan, where each of us presented our company's technology to Japanese business people at the British Embassy there in Tokyo. 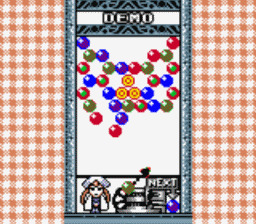 Out of the assembled developers, Nintendo selected me to meet them at their headquarters in Kyoto, only because they had seen so much of what Crawfish was doing on their beloved handheld machines. It was around about this time that I started to fantasize about being bought out by Nintendo themselves, becoming Croydon's second success story after Probe's acquisition by Acclaim, but that wasn't to be!" "Meeting Nintendo in Japan in 2001 was when our success really hit home... It was around about this time that I started to fantasize about being bought out by Nintendo themselves"
Around this time, Mike Merren joined Crawfish as Director of Development. "I started in the Industry in 1987 working for Mirrorsoft and then as a Producer for Virgin Interactive from 1991," he explains. 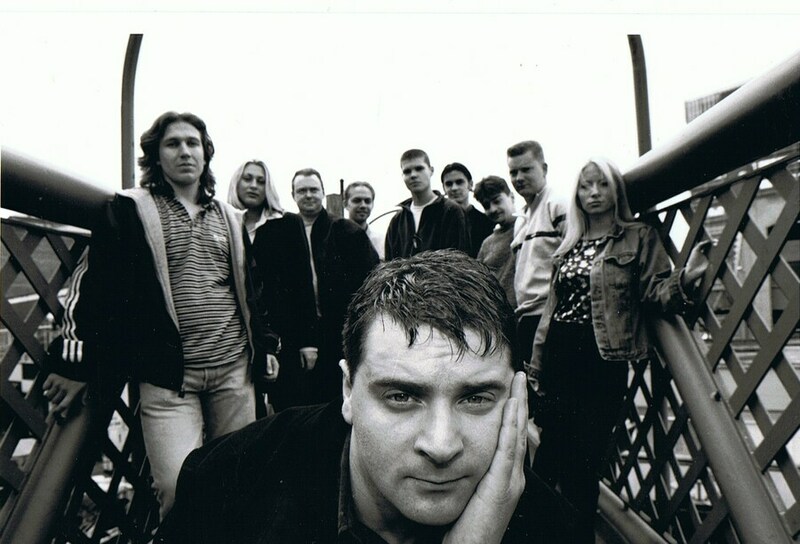 "While there I worked with Revolution Software on Broken Sword and Archer Maclean on Jimmy White's Cueball. 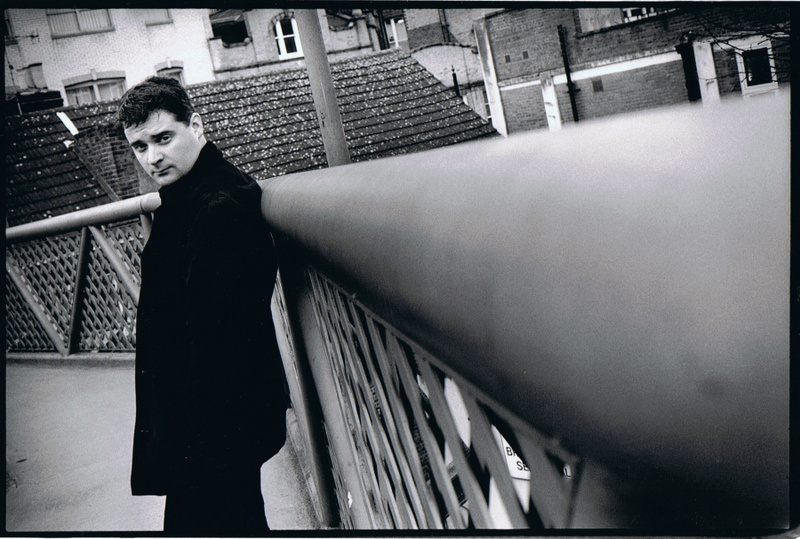 I then moved to Croydon and worked for Acclaim Studios in '98, where Cam had been, but we'd never actually met." The studio Merren found himself in was much larger than the one started by Sheppard in 1997. The reason for this rapid expansion was down to Crawfish's reputation; as it grew, it was predictably courted by other publishers, allowing Sheppard and his team to emerge from under Acclaim's wing. "The first publishers I signed titles for included Activision, Midway and Crave, and Acclaim were fine with that," explains Sheppard. 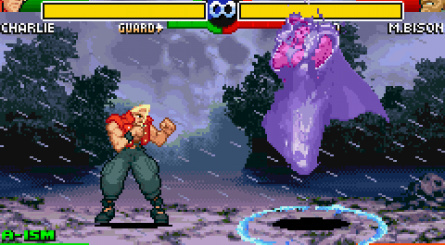 One of Crawfish's most famous clients was Capcom, who entrusted the studio with the Game Boy Color conversion of Street Fighter Alpha: Warrior's Dreams in 2000. The triumph of this venture led to another, more significant project. 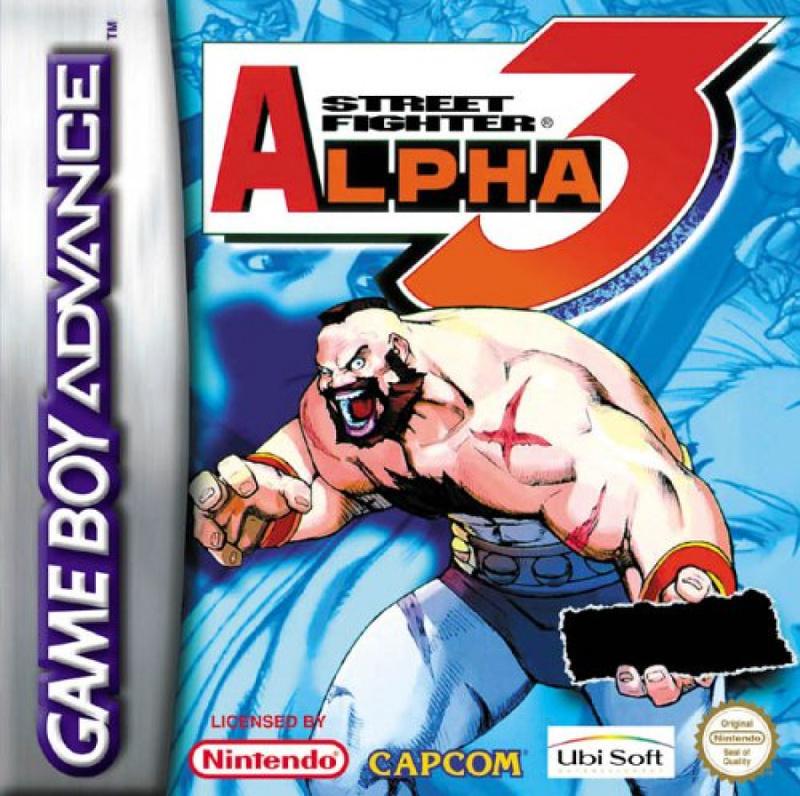 "The deal for Street Fighter Alpha 3 on the Game Boy Advance was great and the agreed royalty rate meant that it was going to be Crawfish's big break into the real money," explains Sheppard. "I was over the moon that I managed to sign such a deal, even meeting Capcom at their offices in Osaka. Unfortunately, for reasons that I am still unaware of, the development went horribly wrong and it not only missed the release date but also the release year. It shouldn't have happened; it was a conversion where we had access to the entire source — code and art — and even hired an additional programmer to solely write the run-time data compression which was crucial for quality graphics and sound. Capcom were rightly furious and summoned myself and Mike to a meeting with them at a trade show in 2002 — which wasn't pleasant — and we were told that the development fee was cut and the royalty effectively cancelled." 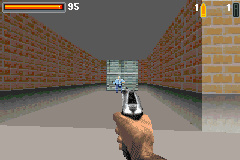 Ironically, when the game was eventually released at the end of 2002, it gained widespread critical acclaim. The spat with Capcom would have severe financial ramifications for Crawfish, as would the complexities of transitioning from one hardware generation to the next. For a company that was so heavily invested in Game Boy Color development, shifting focus to the brand new Game Boy Advance was not easy. "On one hand it was great that the handheld market was growing up and that Crawfish was in the best place to capitalize on this, but it also posed a unique problem," explains Sheppard. "New hardware always causes problems with games development, as publishers drop support for the existing hardware when new hardware is announced and delay signing titles until they can be sure that the new hardware is going to be successful. In the case of the GBA, this caused a lull in signing new titles and since Crawfish's focus was only on the Game Boy line, revenue suffered." "Towards the end we had been given the opportunity to do an original story for an all-new Grand Theft Auto on the GBA"
Still, Crawfish's ability to turn the most basic of concepts into a living, breathing project didn't go unnoticed by publishers. This allowed the company to be more choosy about what it tackled, and also attracted more work. "Around the time as the GBA was establishing itself, we did actively go after some known titles as well, such as the Cinemaware and Bitmap Brothers games,"explains Merren. "A lot of the time a publisher would come to us asking for a pitch on a title, and we would put something together — sometimes within a matter of a day or two — and a week later we would be ready to sign the contract. Even within this though we still had a lot of creative freedom on titles. Ecks vs. Sever was an original design by Crawfish, which was worked on prior to the film even having a full greenlight." Such was the company's skill with creating original projects on humble hardware that the firm was entrusted with what is now one of the most popular video game franchises of all time. "Towards the end we had been given the opportunity to do an original story for an all-new Grand Theft Auto on the GBA," reveals Merren. "It was 4 months into production when the company closed." Things became so dire that in 2002 Sheppard began to look for a buyer in order to save the company's fortunes. "I was in serious talks with a British developer towards the end of Crawfish's life as I knew that without something drastic we would cease trading," he recalls sadly. "It nearly happened but during my last meeting the deal fell through for certain reasons. I was stunned as I then knew that I had to cease trading the next day, laying off all employees and notifying the freelancers and suppliers. Perhaps my most depressing memory of the whole Crawfish saga was my train trip back from that final meeting on a wet, grey and miserable afternoon, ignoring the calls from my bank manager who was ringing to see how it went." Merren has equally sad memories. "It was awful, telling everyone it was over," he says. "I will never forget that. There were a few people that were in tears. Everyone went down the pub afterwards had a few drinks. The odd bit of gallows humour came out, but generally people drank a beer and sat in shock about what had happened." And so ended the story of one of most talented portable codeshops the UK has ever seen. The team splintered and separated, although Sheppard would find himself reunited with Leitch — who had left Crawfish before it shifted focus to the GBA — shortly afterwards. "I went to Climax Studios, to their handheld division," Sheppard recalls. 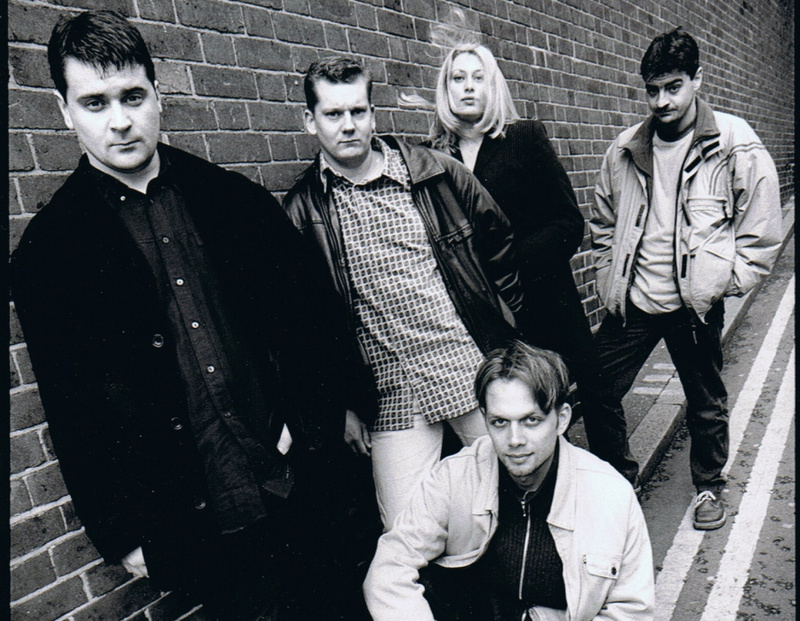 "I departed around mid 2003 and then an opportunity arose to set up another games development company called Razorback Developments with two other directors, Dave Leitch being one of them." Again based in Croydon, a large part of Razorback's focus was — you guessed it — handheld consoles. "We specialized in games for the GBA and DS, but more kids-and-family-orientated material," Leitch explains. "Cam left after a couple of years, but the rest of us kept on with it and we did okay commercially, but didn't get anywhere near the critical acclaim that Crawfish earned. The bottom started to fall out of DS development budgets in 2009 and by 2010 we decided that the sensible thing to do was call it a day." In 2010 Sheppard moved back to his native Australia, where he has become involved in various pursuits. "I did some non-games-industry projects, including working as an extra in TV and film strangely enough, which I'm still doing," he says. "I recently finished a full-time course in electronics. I have to get serious with something though, and I have a few options." Had Crawfish managed to survive to the present day, what kind of company would it be? "It's difficult to say really, things are so different today," replies Sheppard. Merren feels that the studio would have endured had it not stumbled during the GBA era. "You look at the timing of the closure and if we had survived another year or two, the Nintendo DS was coming along and that would have been a natural jump," he says. "Also, some of the staff that went on to form Climax Handheld worked with Intel and ATI on some initial mobile phone work that was pushing technology closer to what we see on iOS today. In hindsight, I would love to think we would have been at the cutting edge of the initial iPhone business." Even so, Crawfish's former Director of Development isn't sure that he would relish the prospect of fighting it out in the portable arena now. "The big issue is the phone side is saturated," he says. "As a consumer, it's great there are so many apps available that you are spoilt for choice. But as a developer, you almost need to be producing twenty titles a year, and hoping one will stick." Leitch shares his former colleague's scepticism. "iOS game development might seem like the equivalent scale of endeavour to what Crawfish did on handhelds, but the business model for most of the companies involved in it is very different," he explains. "You've got companies like Mobius (now Rockstar Leeds) and Vicarious Visions (now owned by Activison) who were Crawfish's competitors ten years ago, and they're both doing big console stuff these days. So my crystal ball is not clear on this one. I think the rise of iOS has changed it a lot, for better and worse. It's obviously a whole lot easier to get small games published these days, but the massive volume of product that it has led to and the amount of it that's free - or as good as free - has made the likely returns less predictable." Perhaps it's a blessing that Crawfish is no longer around to contest what is becoming an increasingly cut-throat business; the company's life was short, but it contributed some remarkable games to the handheld arena. This feature originally appeared in its entirety in Imagine Publishing's gamesTM magazine, and is reproduced here with kind permission. It's thanks to these guys that I have a not perfect (perfection is for the Amiga only) but very acceptable "Speedball 2 Brutal Deluxe" to play anywhere I carry my Game Boy Micro and for that they have my eternal thanks. I recognised the name. Can't remember where I saw it, but I've played a few games by Crawfish. Pity the GTA thing didn't pan out. I like a lot of Crawfish games, and still own about ten - including the excellent Driver: You are the Wheelman and Aliens: Thanatos Encounter for Game Boy Color. Very good Feature. An interesting read for handheld fans. A very nice and interesting read. These stories always fascinate me, particularly on the "downfall" side of things. It's compelling and deeply interesting. Previously I read about the dissolution of Trilobyte and Silicon Knights as well, and to see how some things occur is an incredible learning experience. At the same time, it's extremely disheartening to see such solid developers like Crawfish struggle and then go under. So no chance of GBC SF Alpha and GBA SF Alpha 3 for Virtual Console? @Suicune So I wasn't the only one who thought this felt familiar. These guys are awesome, I don't even know how they manage to cram that many features into Street Fighter Alpha 3 for GBA but they pull it off and makes it feel more accurate to the arcade version. I mean a portable fighting game with over 36 selectable characters in cartridge form, only Super Street Fighter IV: 3D Edition and Super Smash Bros. for 3DS had outclass it and those two came out like two generations later when technology advances. I would of loved to see how their version of GTA Advance would of turned out. They also did the excellent version of Space Invaders on the GBC. 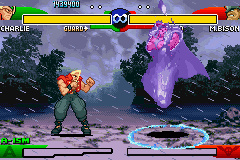 Street Fighter Alpha 3 on GBA is a technical marvel! How they managed to get the entire roster onto the small GBA while still keeping smooth gameplay is beyond mere mortals such as me. @Suicune As stated, this feature was previously published in gamesTM magazine. It hasn't been featured on the site before. I thought these were the same but i was wrong just about the same developer. My bad! I played some of their games, can't remember which but I know I have. Are they a rock band? Why the vanity shots?